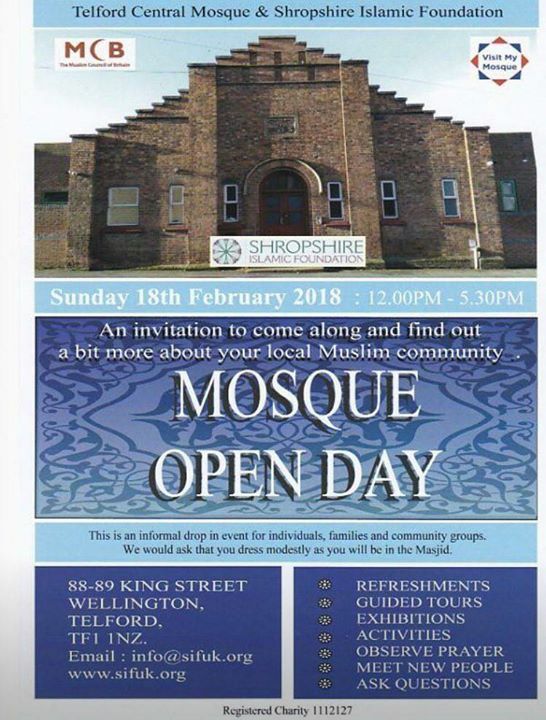 The King Street Mosque is opening up to all on Sunday 18th Feb between 12noon & 5:30pm. *i make personnel comment. just stating facts..
People moan that Muslims don’t integrate. Here is an example of Muslims actively inviting people into their place of worship and still people are angry reacting. They can’t win. This is gonna be fun to watch considering how ignorant and pig headed your average Telfordian is. Why’s it a registered charity? That looks interesting. I’ve never been inside a mosque. Thanks for chance to come and see it. I shall try to get there. I am away on this date but would like to attend and learn more about Muslims in our community.. would i be welcome at any other time? 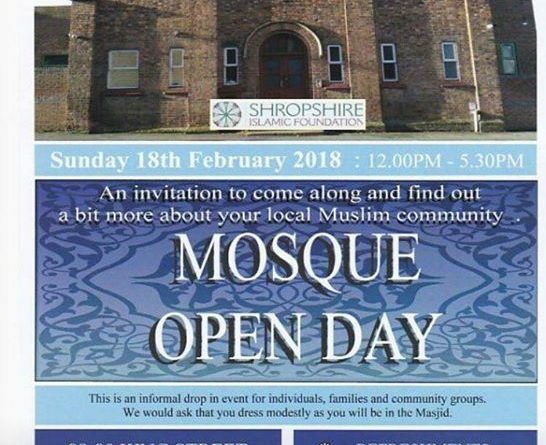 Think I will give it a miss, and I will not be visiting any other religions places of worship either…..they are all as bad as each other. That’s the review of a 6yr. I’m happy he just sees it as part of life, as it should be. There is NO god, I believe in aliens, when will the council build an alien believer building for us to stargaze? RE: Zoe Marple / Tommy Potts. It is a registered charity as it isn’t funded via the government, therefore Muslims donate to its building and upkeep. Although, I believe your post may have been one of sarcasm. Rest assured, you would be more than welcome any day of the year. Seems the Muslim community can’t seem to do right, for doing wrong. Or perhaps that shows the ignorance of so many people in Telford. I prefer the latter.